What are the characteristics of a great homepage? Perhaps it’s one that’s both aesthetically beautiful and functional. Maybe it shows up in organic searches for your targeted keywords and phrases. As a minimum, a great homepage must convince your target customer to stick around in those crucial initial few seconds. That’s because the right words can enchant your visitor, convey the right emotion and increase the likelihood of getting exciting results from your website. In comparison, if you screw up your headline, choose the wrong tact or fail to convince visitors, leads from your website will quickly dry up. The difficulty is the web is full of “interesting” websites. If you want to stand out and generate more leads, more sales and more referrals, try these ten proven writing tips. A great homepage hinges on your ability to communicate the right message. Figure out how your homepage fits into your business goals and get clear on your homepage’s function. Whether you want to build brand awareness, increase subscribers or drive visitors towards a purchase, by getting clear on your objective, you can start to tailor the message to suit. Why should your customer buy from you? How will your customer benefit from your product or service? 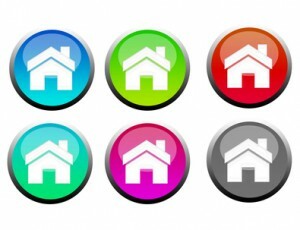 Will you promote an offer on your home page? How could you use a guarantee to build trust? Avoid the temptation to just jump in and start writing. The time you spend planning and getting clear on your message will help you avoid lots of wasted effort. Your headline is going to be the most read part of your homepage. In fact 80% of visitors will read your headline whilst only 20% will read the rest. Which means if your headline fails to attract attention, the rest of your words will go unread. The primary job of your headline is to draw visitors in and convince them to read the next sentence. Which means you need to find the right angle. Can you incorporate your company’s major benefit into your headline? Could you use curiosity to entice readers to take a closer look? What words would make your business stand out from your competitors? And if your headline says, “welcome to business name” it’s time to change it. This opening is predictable and boring and does nothing to help draw readers into the rest of your copy. 3. Are visitors clear how you’re relevant? When a visitor lands on your homepage they will instinctively search for signals and proof that you are relevant to their initial search query. A tagline is an effective way to achieve that. Your tagline should summarise in a sentence the key benefits your business offers. For sure you can get creative with your tagline, but avoid taglines that are vague or “clever”. If the message is not instantly clear, again you can risk turning visitors off. For sure you want your homepage to incorporate your target keywords and keyword phrases. After all that’s how you’re going to get found in the organic search results. What’s more, keywords are the language your target customers are using when searching for the information, ideas and solutions that you provide. And that means if you include the right keywords in your homepage, you’ll immediately build rapport with visitors. However, it works best if you incorporate those keywords naturally. Remember although Google’s algorithm will help direct visitors to your website, it’s the people who actually land there who you need to compel to take action. The web is a pretty crowded place. And you can increase your conversion rate if you make it clear why visitors should choose your product or service over all their other options. The key to doing that is to get really clear on what makes you different, and then focus on benefits instead of features. Some small businesses can find it difficult to identify their USP. Frequently you’ll discover it’s your own personality that can make the difference. After all, whilst you may face stiff competition in your niche, no one else will operate in exactly the way you do. How does your individuality and personality add value to your target market? And how could you communicate that on your home page? Good navigation will make it super easy for website visitors to find what they’re looking for. Ensure clarity in your navigation bar, but in addition, incorporate hyperlinks in the body text of your homepage. This will help direct readers to other pages on your site and help deepen their experience and locate the information they need to deliver your website’s objective. Unless you really are a mass-market product, hone your message so it specifically appeals to your target market. The way to do this is to really understand your audience. Get deeper than their age, gender, lifestyle, occupation etc. In addition figure out what keeps your prospect up at night. Discover their desires. Understand what motivates them. Create a buyer persona and then write for this one person. You’ll instantly see how this focuses your writing and tailors your message to appeal to the right person. Your homepage must be more about your customers than about you. It’s tempting to talk about the features of your product and service. However this is one sure way of turning visitors off. Buying is a psychological process based on desire. Have you noticed how we often buy based on wants rather than needs? And that means you need to press the right emotional buttons in order to warm up a visitor and entice them to take action. Features are too logical. They don’t get people excited. In comparison, benefits evoke emotion and are far more persuasive. If you can show your audience how you save time, create wealth, increase intelligence, protect loved ones, minimise risk etc. your message will be far more powerful. Most web readers are “lazy” and have short attention spans. The way you lay out your page can really help with this. Don’t frighten readers off with a big block of text. Instead break it down with informative subheads, bullet point and emphasise key words with italics and bold. Start your writing with one short sentence. It makes stepping into the message super easy. Then build up your copy using short sentences, short words and short paragraphs. Again these simple techniques can set your reader on a slippery slope that pulls them into and through your message. Write to be understood instead of to impress. That means always use a simple word in place of a complex one. Finally keep your message clear and simple to ensure readers really get the point you want to make. Finally you need to power up your homepage and entice visitors to do something after reading your message. Ask people to call you. Offer an incentive to encourage people to sign up to your email list. Entice people to buy something now. Above all, you need to ask. Don’t be woolly. Instead make your call to action clear, specific and targeted. Your homepage is your shop window. It’s the key tool you have to show your relevance and persuade visitors to take a closer look at what you have to offer. Which means it’s wise to review your homepage’s performance at intervals and where appropriate tweak your message to ensure it’s still current and relevant. What do you think is the secret to an effective homepage? What techniques and approaches do you use to ensure your homepage attracts customers and helps sell your business? What about lead capture forms? See you have one at the top with a great free download. Incredible, it’s like you read my thoughts. A major article, thank you. Hi Peggy, glad you found the article useful and thanks very much for your feedback.